On Monday 16th January 2017 Merlin Events teamed up with Fat Buddha Yoga (FBY) – London’s original roaming yoga class to make history. Popping up at SEA LIFE London for the capital’s first ever yoga class at the aquarium. 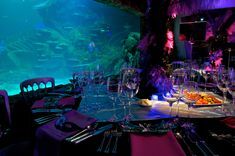 SEA LIFE London Aquarium is a versatile space for corporate networking events, awards dinners and private parties, but never before had we used the Aquarium as a Yoga studio! The following is a case study of what, why and how the event came together. If you have a unique idea for SEA LIFE London Aquarium please do get in touch. FBY offers a modern approach to the ancient art and science of yoga for the next generation of urban yogis combining music and unique venues for unforgettable yoga experiences. The event saw more than 60 yogis walk through the doors and lay down their mats next to tanks for a 75 minute Fat Buddha Yoga class to the backdrop of stingrays, turtles, tropical fish and Fat Buddha Music beats. T2 served ice teas as refreshments, The Salt Palour sampled their eco-friendly sulphur body scrubs, Fat Buddha Yoga provided goodie bags containing snack bars from Hangry Foods, smoothies from Innocent and sea mineral facewash from Simple. Fat Buddha Yoga hosts events and pop-ups at venues ranging from sunny rooftops, sky scrapers, nightclubs such as Ministry of Sound and are always on the lookout for the venue that has never been done before. With an array of sharks, rays, turtles and tropical fish the aquarium provided a yoga experience like no other. Contacting Merlin Events to discuss their proposal, Fat Buddha Yoga were invited to meet with one of Merlin’s event managers to see the Aquarium space and talk through the logistics of the evening. From there, the FBY team marketed the event and sold the tickets, while the team at Merlin looked after the operation, enlisting the help of their event partners to cover the staffing and technical aspects of the event. 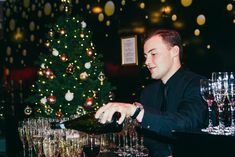 The event was a sell out success, tickets sold out within days of being announced, with a waitlist and constant enquiries for the next date.